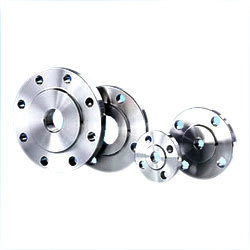 We are recognized as one of the leading supplier of a wide range of Industrial Flanges. 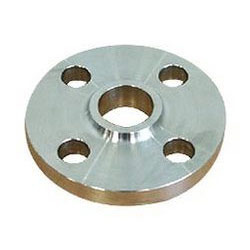 These flanges are manufactured from quality raw material. 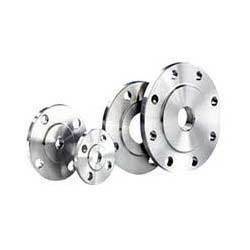 These Industrial Flanges finds their applications in various industries. We offer these Industrial Flanges to our valuable clients at competitive market rates. We have in store a distinctive range of Titanium Flanges that are fabricated using premium quality raw material in accordance with the defined parameters of the industry. These are designed and developed while keeping in mind the extensive usage of chemical processing and marine industry. 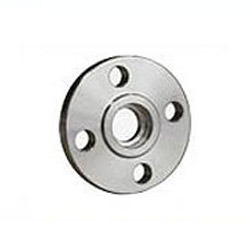 The offered flanges are highly demanded in aforementioned industries owing to their incomparable attributes such as longer service life and resistance against corrosion. We are offering a precision engineered range of Hastelloy Flanges to our clients. This range includes slip on, socket weld, blind, lapped, screwed, weld neck, reducing, spectacle, slip on boss, plate, plate blank and screwed boss flanges. Hastelloy Flanges made available by us are fabricated by making use of supreme quality alloy, stainless steel and others metal. These flanges are carefully designed and developed in compliance with the defined parameters of the industry so as to ensure their high standards. We are being appreciated for providing our clients with an unparalleled range of Blind Flanges These offered flanges are fabricated by making use of supreme quality iron plates procured from the accredited vendors of the industry. Along with this, owing to the immortal assistance our team we are able to design and develop these flanges in accordance with defined parameters of the industry. These offered flanges are extensively used to blank off the ends of pipe valves and pressure vessel openings. 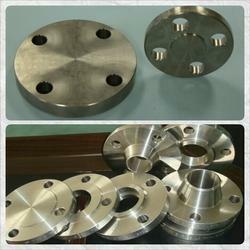 Our valued clients can avail these flanges in below cited grades as per their requirement. We have emerged as a prime manufacturer and supplier of an impeccable range of Slip on Flange. 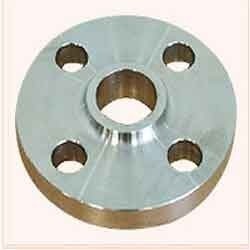 These offered flanges are fabricated by making use of supreme quality required raw material in accordance with the defined parameters of the industry. The offered flanges are ideal to cater to the lower pressure applications and can be easily fitted into divergent pipes. These are prominently used to ensure a proper flow of water to showers. The offered flanges are available in different sizes, shapes and grades, suited to the diverse requirements of the clients. We have in store for our clients, a quality proven range of stainless steel & nickel alloy flanges that is designed in accordance with the industry standards of quality. Widely used in several industries, these flanges have been acclaimed in the industry because of their sturdy and precision construction. The stainless steel drawing flanges are offered in different pressure ratings, dimensions and other specifications. 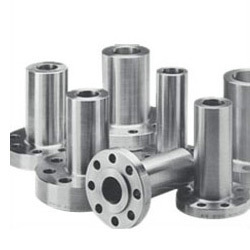 These drawing flanges are made of highest quality stainless steel. 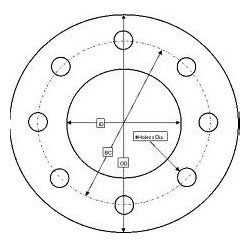 Conforming to ASTM and ASME specifications, our stainless steel drawing flanges are suitable to be used in critical hydraulic-pneumatic applications in various industries. Lap Joint Flanges are widely used to cater to the needs of steel plants, refineries, ship building and chemical industries, among others. The flanges are widely used to facilitate bolt alignment for easing out the erection of large diameter or unusually stiff piping. 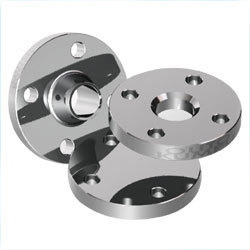 Our range of flanges is widely acknowledged for its corrosion resistance, high tolerance and longer functional life. 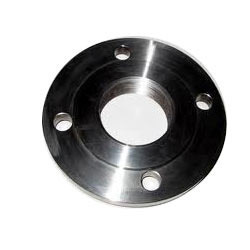 Our esteemed clients can avail a comprehensive range of Weld Neck Flanges from us. 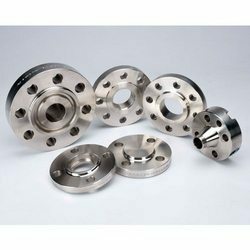 These flanges are made in compliance with DIN, ANS and BS standards, which has increased their popularity amongst the clients. Heavy welded neck is hot formed from a steel plate's circular section, which has small co-axial hole in the center. 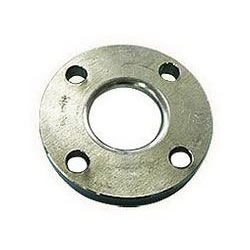 We are engaged in offering a high quality range of Long Weld Neck Flanges to the clients. 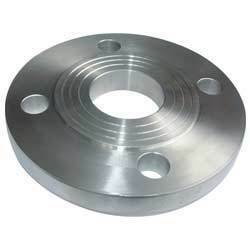 These flanges are widely used to cater to the application requirements of general piping, refineries and engineering related industries, among others. Our product range is manufactured using high-grade stainless & duplex steel and nickel alloy. We are instrumental in manufacturing, supplying and exporting a vast array of Spectacles Flanges. 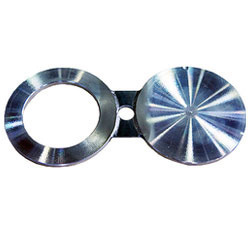 The offered product-line is manufactured using excellent quality stainless steel and alloys that are sourced from vendors of high repute after scouring the market. These products can be availed by customers in various forms of slip on, reducing, spectacle, blind, lapped, screwed, weld neck, plate blank, socket weld, slip on boss, plate and screwed boss. Moreover, these flanges are available in stainless & duplex steel and nickel & copper alloy in ANSI, DIN & B.S standards. 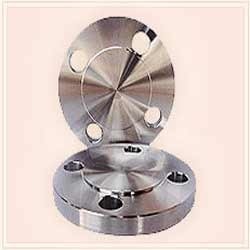 We make sure to offer a high quality range of Orifice Flanges to the esteemed customers. These products are widely used for the purpose of measuring the flow rate of either gases or liquids in pipelines. Our product range is made available in the market in varied sizes, shapes, dimensions and other specifications. Our domain expertise has enabled us to come up with an excellent collection of Slip on Flanges. All our products are manufactured using high-grade stainless steel, plastics, titanium, brass, steel, aluminum, monel, alloy steel, carbon steel and alloy titanium. The offered range is perfect for lower pressure applications because it can easily slide over the end of piping. Also, these flanges can be easily fitted and welded into different pipes in order to reduce the fabrication cost. Besides, we offer our range in various sizes, grades and material. We are engaged in offering a comprehensive range of Socket Welding Flanges to the customers in various shapes & sizes. 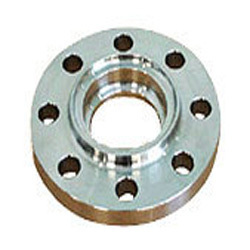 These flanges are highly demanded by the clients for their durability and high strength. Socket Welding Flanges are welded to the end of pipe, which ensures that the pipe can be bolted to another pipe with similar flange. 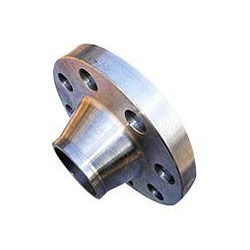 Moreover, socket welding flanges disconnect or reconnect the pipes, without any hassle.